Wednesday, April 3, marks the 50th death anniversary of Bede Puvimannasinghe, the widely-admired Prefect of Games and Cadet Master of St. Benedict’s College, Colombo 13. During more than ten years as Prefect of Games, Bede Puvimannasinghe played a key role in making St. Benedict’s champion in sports such as cricket, hockey, soccer, basketball, as well as track and field. 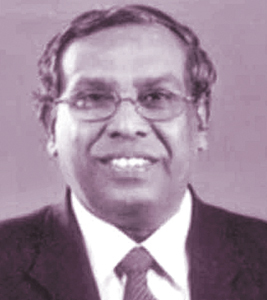 Puvimannasinghe excelled not only at a school-level; he also played a major role in national school athletics, hockey, basketball, and soccer associations. To mark Puvimannasinghe’s 50th death anniversary, grateful past pupils and sports personalities will hold a special thanksgiving service on April 6 at 5.00pm, at the college sports pavilion. Another past pupil, F. Noel Dias, will preside at the thanksgiving service, to which relatives and friends are invited. Puvimannasinghe, after his graduation from the University at Peradeniya, was invited by Rev. Fr. Alex Ranasinghe to teach at St. John’s College, Panadura. Being an Old Benedictine and residing with his parents at Mayfield Lane, Kotahena; he was entreated and allured by Rev. Bro. Oliver FSC, the then Director of St. Benedict’s College; to take up the post of teacher and further, to organise and launch a Junior Cadet Platoon. As a past Cadet of the College Cadet Contingent, he needed no additional persuasion. Without much ado and sans hesitation, he readily accepted and happily served his alma mater for 16 years with deep, fervent devotion. In 1953, he formed the First Junior Cadet Platoon and his First Sergeant was Nalin Suaris. During that era, the annual Junior Cadet Camp was held at the Race Course in Boosa. In September, 1953, I was enlisted as a Junior Cadet. The St. Benedict’s Cadet Platoon came under the Third Battalion of the Ceylon Cadet Corps. It was Puvimannasinghe’s earnest desire to bring the College Cadet Platoon to earn the first place in the competitions held at the Camp. To this end—and to make this daunting task a success—he took us, for one week, to St. Mary’s College in Chilaw, and held a private camp in conjunction with the Junior Platoon of the college. There, we were put through a strict and thorough training, simulating an actual Cadet Camp. Subsequently, in 1954, I remember coming back on the train from Boosa after earning a coveted position of 2nd Runner Up. The boys were happy and singing and Puvimannasinghe joined us in the singing as well. When invited to sing a solo, he came out with the song Home Sweet Home, in a deep baritone voice. On an encore by the Platoon, to our surprise, he gave a wonderful rendition of Caruso’s Donkey Serenade. Later that year, under the guidance and training of Puvimannasinghe, the college forwarded a team of four Junior Cadets, for the Inter-School Junior Cadet .22 Rifle Firing Competition held at the Rock House Battery. We brought home the Challenge Trophy after defeating 18 school Platoons. The Team consisted of four Cadets: Clive Fernando, Amirtharaja Appaiha, Luxman Silva (who had the best score in the entire competition), and myself. In 1955, they changed the venue of the Camp from being held in Boosa to Diyatalawa. It was held in April that year. At this camp, our Platoon Sergeant Amirtharaja Appaiha was awarded the Best Commander’s Cup, while the College Platoon earned the Runners-Up position in all the competitions. In 1956, having reached the age limit for being in the Junior Cadet Platoon, most of us joined the Senior Platoon. In 1957, Lt. David laid down his pistol and retired from the duties as Officer-in-Charge of the Senior Cadet Platoon. Rev. Bro. 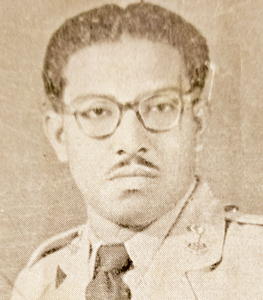 Alban Patrick, FSC, the then Director of the College, proposed that Puvimannasinghe take over the Senior Platoon. Bede Puvimannasinghe, being aware of the challenges before him, did not hesitate to take charge of the Senior Cadet Platoon, and wasted no time in planning out a strategy. With immense effort, and diligence, he began training the Cadets with that one aim of bringing the coveted Herman Loos Challenge Trophy to his, and our, alma mater. In that same year, Puvimannasinghe earned his First Pip on his shoulders and was commissioned a 2nd Lieutenant. It doubled our joy when, in the same year, we brought home the Challenge Trophy for the .22 Rifle Firing Competition held for the Senior Cadets, defeating 28 other College Senior Cadet Platoons. It was Lt. Puvimannasinghe who trained and guided us right through this competition. 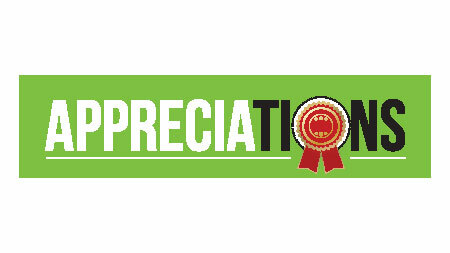 It is with pride and gratitude that I say that the honour goes to him. This team consisted of Cadets Luxman Silva, Sgt. Amirtharaja Appahia, Edison Fernando, Nimal Fernando and me. At that time, the College kindergarten quadrangle (adjoining the K.C.Y.M.A. ), was utilised as our .22 firing range. Continuing his career as the Cadet Master, Lt. Puvimannasinghe took up the task of steadily putting the Platoon back on the map of the 3rd Battalion. To this end, he sought the assistance of his good friend, Sgt. Major Gunasekera of the CLI. Together they trained us in all the aspects of cadetting, which included physical training, firing, and discipline. It was our officers’ aspiration to reach the top. He saw to it that the sportsmen were punctual at practice and practiced hard; keep fit both physically and mentally and were always at their peak, giving their very best at every encounter. He was a great friend to the players of any team... Acting on the motto of the Ceylon Cadet Corps, Nunquam Non Paratus, Lt. Bede was ‘Never not Ready’, to offer a helping hand or advice to any student or player who would approach him. He was always a shining star on the Green White and Green banner. He was a rare gem and would be hard to come by. The College Prefect of Games, much to his guidance and credit, won trophies that brought fame to the College. He held this position until the time of his demise on April 3, 1969. Had the college a Cadet Platoon in existence at the time of his death, indeed, the bugles would have blown its silvery note of the Last Post over his grave. Sir, I, salute you. May your soul rest in peace! It was our privilege to live amongst a great person bearing excellent qualities, as our immediate neighbour, for a period of 22 years. Namasivayam Pathmanathan was a down-to-earth person. With his welcoming smile and simple ways, he won the friendship of a large number of people around him. Pathmanathan led a fruitful life for a period of 75 years. But unfortunately, he passed away a few days before he completed his 76th year. He was born as the eldest son in a traditional Hindu family in Batticaloa, with seven siblings. His supportive wife, Mangaleswary, was a blessing to him. His loving daughter, Sivapriya; son-in-law Ragitha Siriwansa; and two grandchildren, Dineli and Dhanesh; were all fond of him. Namasivayam Pathmanathan was born on April 20, 1942, and passed away on March 4, 2018. His educational career was brilliant and he achieved results with flying colours. He completed his first degree from the University of Peradeniya and completed his postgraduate degree in Business Administration (MBA) from the University of Sri Jayawardenepura, aside from obtaining a Bachelor’s Degree in Law from the Open University of Sri Lanka. He joined the Sri Lankan Administrative Service at a very young age through a competitive examination and served the country with full dedication and involvement. His excellent service to the nation extended to all parts of the country, both rural and urban. His service was not at all confined to the Government Sector alone, but expanded to all parts of society, transcending all barriers. He especially devoted his services to the downtrodden people of the country. He always committed himself to the well-being of the public without any discrimination. Each of his work reflected his deep humanitarian touch. Pathmanathan worked hard throughout his service period as well as retirement. Serving for the benefit of his fellow countrymen was the utmost goal in his life and he never hesitated to work in difficult areas. During his retirement, Pathmanathan was actively engaged in poverty alleviation programmes in war-affected areas. Because of his farsightedness and valuable guidance, many underprivileged families were blessed with sufficient income. He also helped the poor rural masses improve their economic conditions by introducing new self-employment schemes. Pathmanathan was neither an ambitious person nor a social climber. He had no affiliation with any political party. He occupied numerous key senior positions in the Government Sector during his career. Some of those positions were as follows: former Chairman of the Rehabilitation of Persons, Properties and Industries Authority; former Deputy Secretary to the Treasury; former Secretary to the Ministry of Forestry and Environment; former Secretary to the Ministry of Science and Technology; former Director-General of the Department of Public Finance; former Additional Director-General of the Department of National Planning; former Senior Assistant Secretary to the Ministry of Reconstruction, Rehabilitation and Social Welfare; former Secretary to the Ministry of Rehabilitation, former Additional Government Agent for Trincomalee; former Assistant Government Agent for Land Administration in the Batticaloa District; former Divisional Revenue Officer for Mannar; as well as the former Assistant Commissioner of Elections in Mannar, Vavuniya, Batticaloa, and Polonnaruwa. Meanwhile, through the Rotary Club, he served the nation for numerous humanitarian causes. He was the former District Governor of the Rotary District 3220. Above all, as his neighbours, we all noticed how he gave food and water to numerous starving stray animals with great care. I hope he had fulfilled his duties before leaving for his permanent abode. May his soul rest in peace in the presence of the Almighty. Om Shanthi!